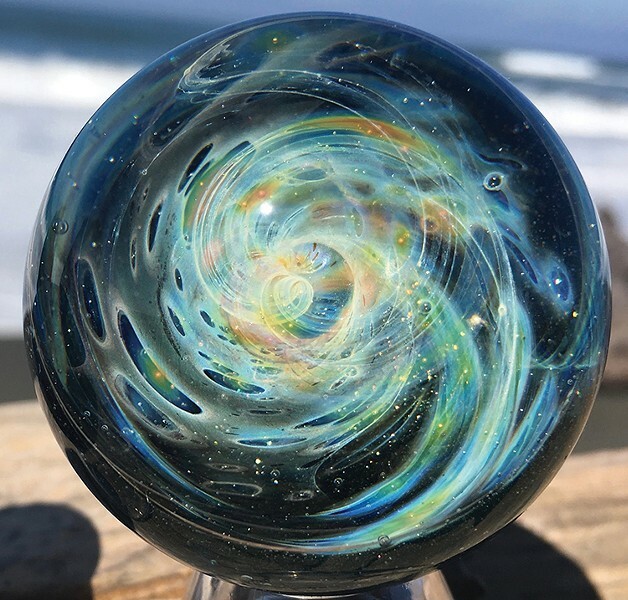 Marbles, those gorgeous, colorfully swirled little glass balls of art, have their days in the sun (or fog) when Humboldt Marble Weekend rolls around Feb. 8-11, with a meet-and-greet night, marble show and mega marble hunt. It's a real glassy affair. The fun kicks off with the all-ages, family friendly Marble Makers Ball at The Siren's Song Tavern on Thursday, Feb. 8 at 7 p.m. (your $20 donation to the Humboldt County Search and Rescue Posse gets you a drink and a free hider marble). Meet marble artists and fellow hunters/collectors, and enjoy music by Doug Fir and the 2x4s. 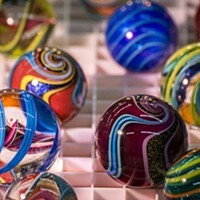 Then on Friday, Feb. 9 and Saturday, Feb. 10, head to the big Marble Show at Redwood Acres Fairgrounds from noon to 6 p.m. (free admission) to meet marble makers and see the work of more than 40 glass artists from around the country who'll be creating, showing, selling and hiding the little glass worlds. You'll also see live glass blowing demonstrations. For such small things, marbles are kind of big deal. Especially here in Humboldt, where we have our share of glass artists. Then it's the big day. Sunday, Feb. 11, when Humboldt loses its marbles. And it's up to you to find them. The Massive Marble Hunt starts at noon with the tiny orbs spread around the county in spots of varying degrees of difficulty. Like fingerprints, no two marbles are alike. And traipsing around Humboldt's gorgeous scenery hunting for these beauts makes for a double dose of awe. Join a marble hunting group on Facebook, watch for clues, then participate in the fun by finding the marbles. Go to www.humboldtmarbleweekend.com for list of groups and how to get in on the hunt.